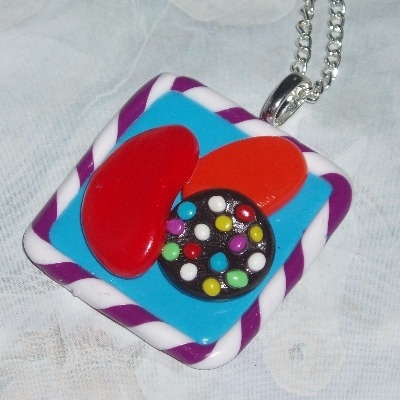 Handmade using Fimo Clay, the Candy Crush Saga logo is approximately 35mm across and comes with a silver plated bail. Various lengths of silver plated chain available. Perfect gift for anyone who loves playing this addictive Facebook game.